Amelanchier x grandiflora "Autumn Brilliance"
One of the things you start discovering when you dive into gardening and horticulture is just how few of the world's edible plants (i.e. plants people can eat) have been widely commercialized. As a result, even if you've reached the ripe old age of 30-something (as I have), you can still have a brand new taste sensation. 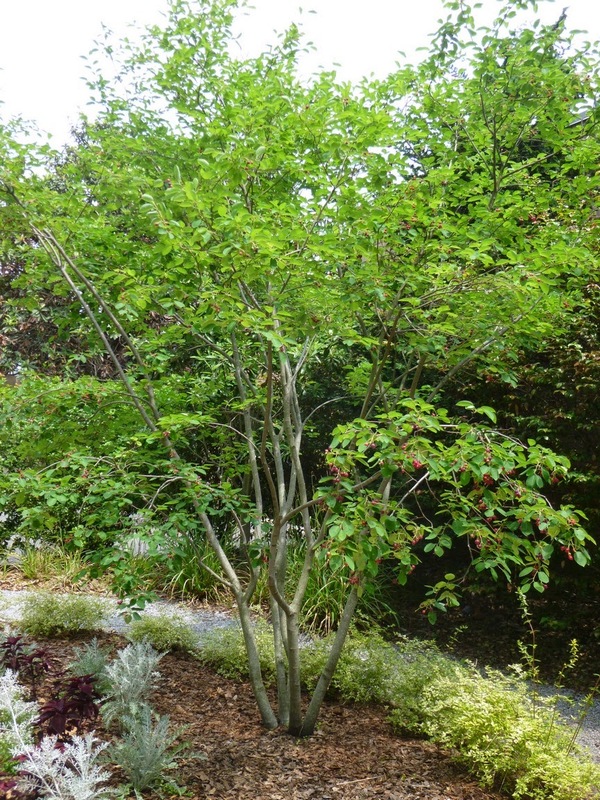 In my case, it happened last month when I was visiting the Atlanta Botanical Garden and came across the marvelous serviceberry tree (Amelanchier x grandiflora "Autumn Brilliance") in the edible part of that garden. Perhaps to the annoyance of the birds who were hopping from branch to branch gorging themselves on the fruit, my wife and I each snuck a few berries. They were very tasty! 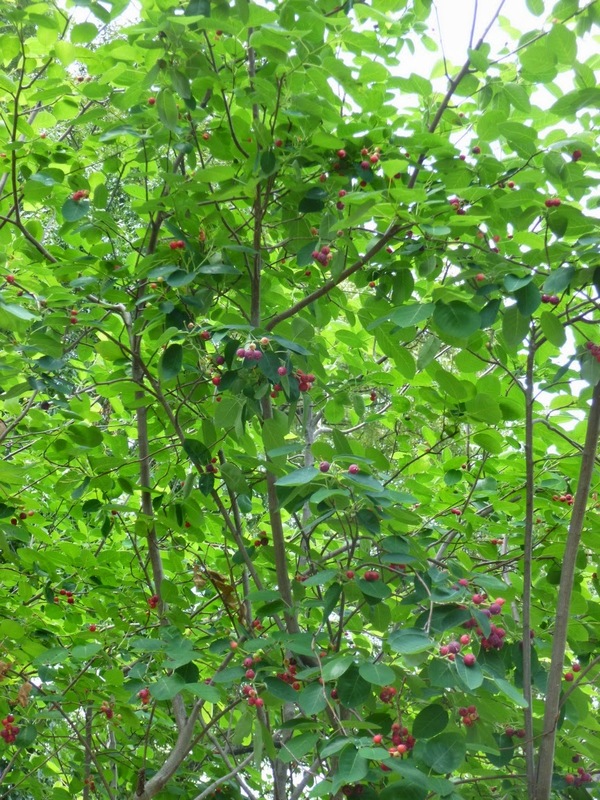 I've been talking to some horticultural experts recently at botanic gardens around the country and several have recommended the serviceberry for both its aesthetic and edible qualities. If you're looking to add some home-grown fruit to your garden with a versatile small tree that reportedly often has very nice fall foliage, Serviceberry could be just the ticket. 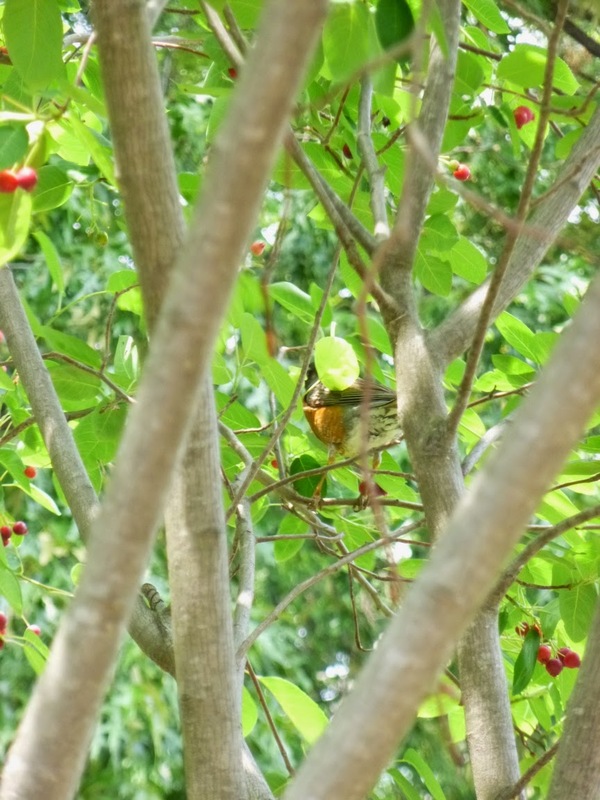 Can you spy the robin amid the Serviceberry foliage? Serviceberries can feed the birds, while perhaps giving you some berries for your own table.